Charlie Henry Goffingon, affectionately known as "Dirty Red" or "Doll Baby," was born February 16, 1959 in Bayview, Virginia to the late Robert Milton Bibbens and Essie Mae Owens. He passed to eternal life on October 5, 2018. Charlie left the Eastern Shore, Virginia at an early age and moved to Florida. In the 90s, he returned to the Eastern Shore and moved the love of his life, Mary Morris. They were joined in Holy Matrimony in 2000. Charlie's passion was working on the farm, but he had some more passions: cooking and working on cars. He always was the life of the party and would laugh at any party. Charlie worked for Newman farm for over 17 years. His family was his everything. The apple of his eye was his wife, Mary. There wasn't anything that she asked for that he didn't make a way to get. On his last days, as his health began to fail, the doctor asked him to stop working. However, he still tried to work until he just couldn't anymore. The love of his family was his motivation. He was preceded in his journey to eternal life by his sister, Annette Freeman. 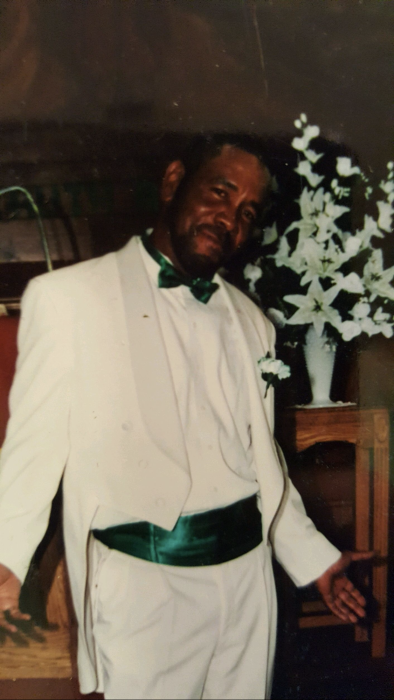 Charlie leaves to cherish his memories: wife, Mary Goffingon; seven children, Nekisha Horsley (Albert), Demarcus Morris (Nekeeta), Tanesha Bailey (Marlon), Charlie Goffingon Jr. (Jackie), Antron Morris, Anthony Lane (LaTikka); four sisters, Diane Johnson (William), Shirley Owens, Linda Williams (Carnell), and Patricia Toy (Michael); one brother, James Owens; grandson, Buddy Owens; one sister-in-law, Tangier Trower; three brothers-in-law, Robert Morris Jr. Kevin Morris, and Warren Freeman; a very special father-in-law, who he loved like a father, Robert Morris;special friends, "Jason" and Kedia Kellam; and a host of other relatives and friends.